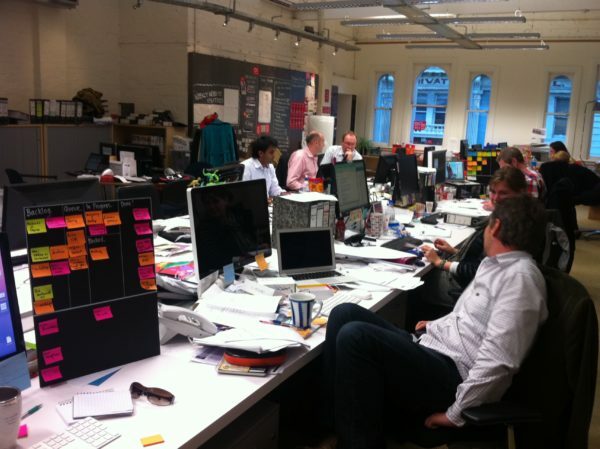 One of the things that immediately caught on when we started our journey towards being Agile at Snapper was the use of visual workspaces. The team loved the sense of achievement of moving a task from "In Progress" to "Done" and found the board helped them stay focused and co-ordinated. Everyone from team member to operations to management appreciated the level of visibility and transparency. Even my partner's 11-year old daughter thought my work place was the coolest ever as we had covered the walls in colourful sticky notes and Simpsons characters. 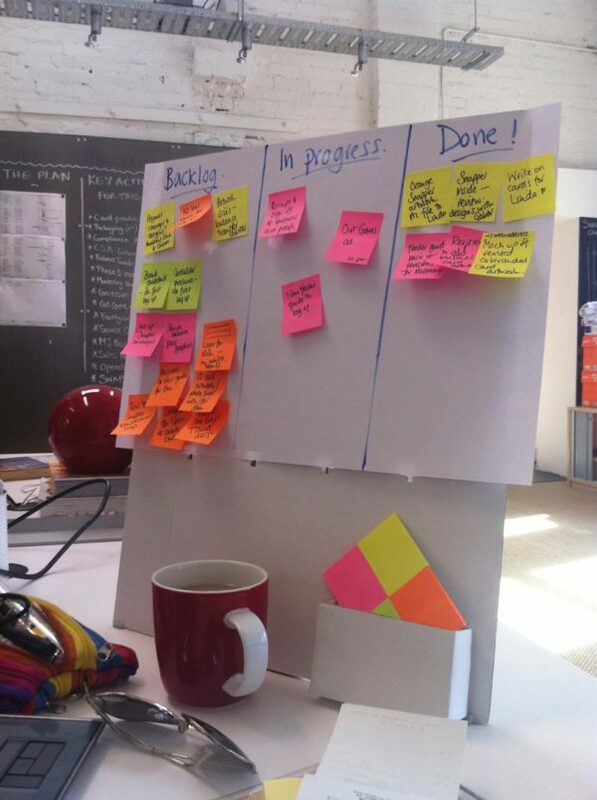 This, in combination with my constant rant against excessive multi-tasking, too much work in progress and finishing one thing before starting the next seemed to have struck a chord with Gina, our designer, who started a "Kanban-for-One" movement at the office. 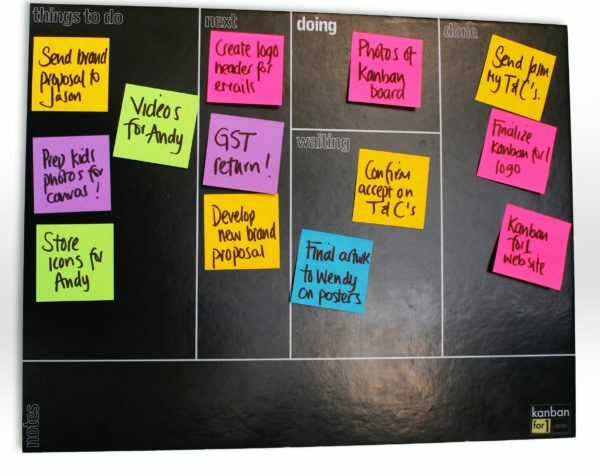 The board, at Snapper known as “a Gina board” is used to organise personal tasks. The standard workflow is “Backlog” (stuff I want to/have to do), “Queue” (the subset of the Backlog that’s up to be worked on next), “In Progress” and “Done”. The limited space for each of those workflow states imposes a natural limit on the number of items in each state, e.g. no more than 4 stickies fit into the “In Progress” area and getting more than 8 items into your “Queue” column is impossible. The lowest area on the board is either used as an expedite lane or for little inspirational messages and reminders. 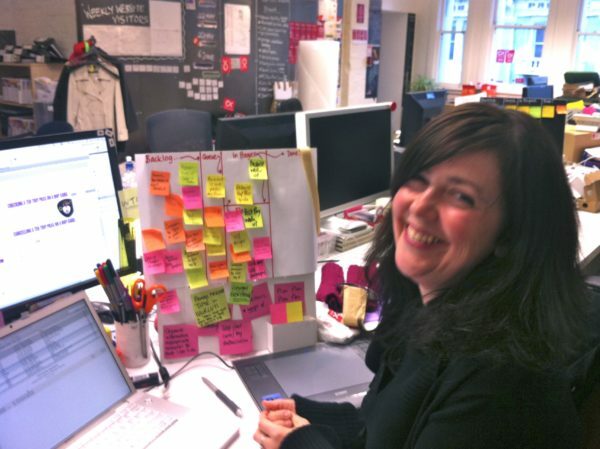 Gina is the proud inventor of the Snapper Agile board. Unfortunately she has the least visually appealing board as she is stuck with an early version that had not received the benefit of several iterations of learning. Since people can place orders with Gina they’re spreading like a rash through our office. Andrew with a board full of marketing tasks. 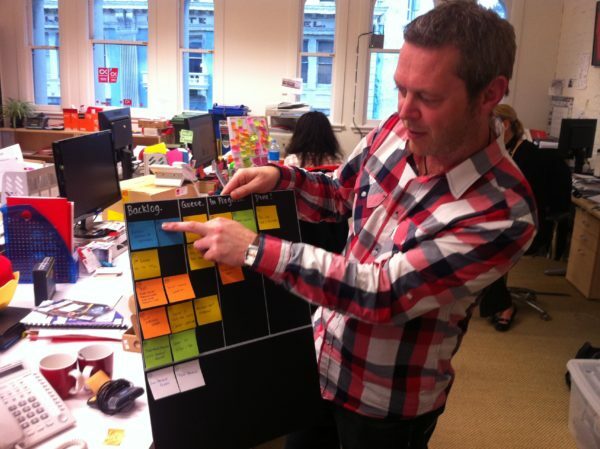 Sean, Head of Product, and obviously obsessed with the alignment of stickies. Reminders and ground rules on Gina’s board. I’m a bit confused about the haircuts though. 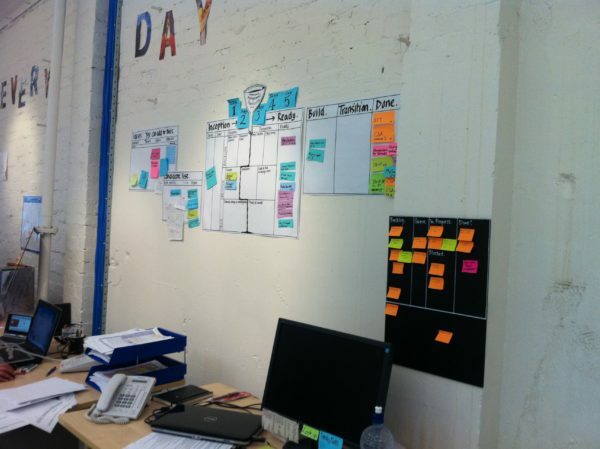 Apart from our team Scrum wall more and more people have or have ordered personal Kanban boards to supplement the team view with individual task management. We really like the boards to keep ourselves organized, protect ourselves from the temptations of multitasking and to communicate to the rest of Snapper what we’re working on. 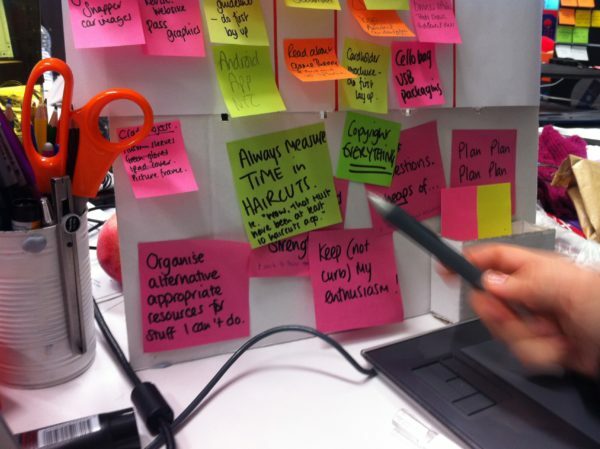 Some people are combining the personal Kanban boards with the Pomodoro technique which seems to work really well too. It is really easy to cut our your own personal Kanban board from a standard foam board. 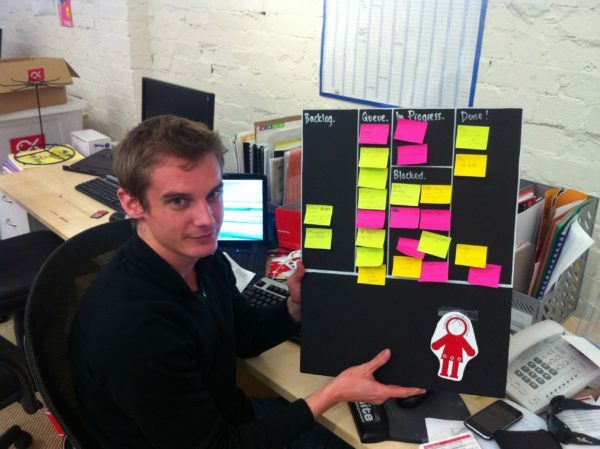 However, if you can’t be bothered or would like to have a nicer design you can order a ready made one at KanbanFor1. Tags: Agile, Kanban, Kanbanfor1, Lean, Personal Kanban, Workflow.